byStroom clutch HILMA - simple and elegant - buy it here! 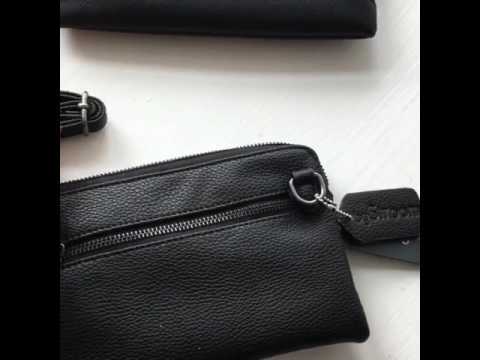 HILMA is a simple and elegant clutch with plenty of room for cards, coins, a phone and more. The clutch is designed with room for 8 cards, two pockets, one with a zipper and a large compartment. There is a pocket on the back with a zipper. A removable shoulder strap that can be adjusted from 64 to 118 cm comes with the clutch. HILMA is made of soft artificial leather that is durable and easy to clean with a damp cloth. HILMA measures 22 x 14 cm.